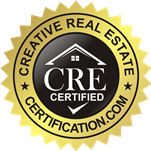 Columbus Ohio's #1 House Buyer! Choosing bedroom furniture is very difficult. The bedroom is where you spend most of your life, and the decor can psychologically impact your mood, so you’ll want the space to look nice. 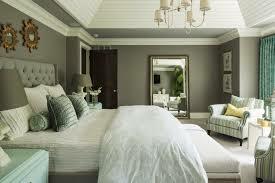 Here are some tips to keep in mind when you are shopping for new master bedroom furniture. 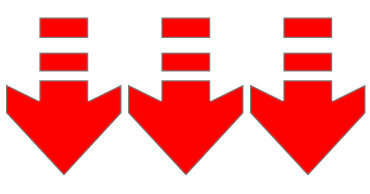 Bed: The first thing you should decide is the size; do you want a twin, full, queen, King, or California king? You also have to decide based on what the room can hold. You don’t want to put a King bed in a small room, regardless of how much you want to have a King bed. Decide instead, based on available space and then comfort wants or needs. Next, you’ll need to select the frame and the mattress. Frames: You should definitely make sure that the frame you choose offers sturdy construction to support the mattress and box spring, as well as the weight of the people using the bed. Think about what the bed height will be once the mattress is in place. Depending on your mobility, a low, platform-style bed (which forgoes the box spring) or a high, tester style may make it difficult to get in and out of bed. As you shop, look for a frame style that suits your tastes, whether it’s a four-poster, sleek platform, or traditional design. Mattresses: There are more types of mattresses on today’s market than ever before. You’ll find models ranging from traditional innerspring construction to gel to memory foam to air or water filled beds, and more. You can also put a pillow top on the bed. Always be sure to check the labels and warranties. Some people have allergies to certain materials. Always try out the mattress in the store before you purchase, and read reviews. Think about what you need to organize your bedroom and clear clutter. If you have a large walk-in closet, you probably need more drawers. If your space features a small closet, then you’ll also require space for hanging clothing. Dressers: Always check out the construction of dresser drawers before you buy. There are many dressers that are made very cheaply, and you don’t want to deal with breaking knobs, squeaky drawers, or anything of the like. Look for smooth, solid-wood drawers that are sealed or finished to discourage warping. Drawer corners should be square with the drawer sides and front, and secured with dovetail joints. Grooves in the sides and front should hold the drawer bottom; not glue and screws or nails. Open and close all the drawers to make sure they operate smoothly on one or more rails. Also, select a chest of drawers with a variety of drawer depths to handle everything from belts, socks, scarves, and jewelry in shallow drawers to bulky sweaters in deep drawers. If wall space is limited, select a narrow model that stacks drawers high, as opposed to a low dresser that stretches wide and positions drawers side-by-side. Armoires: These freestanding cabinets offer almost unlimited configurations that include some combination of drawers, hanging space, and open shelves. Think about how you really want an armoire to function and choose accordingly. You can also use an armoire to hide the television as well as DVDs, books and magazines, and clothing. Nightstands: Multi-functional pieces. Some furnishings offer more than one use. For example, choose an armoire that stores clothing but also hides a foldaway desk and space for your computer. Perhaps you could use a bench at the foot of the bed that also offers storage beneath the seat. Side tables: Select a side table for each side of the bed and ensure that there’s enough table surface to hold a lamp and a beverage. A side table with a drawer and even a cabinet below makes it easy to keep reading materials, eyeglasses, a flashlight, cell phone, tablet, and more within easy reach. 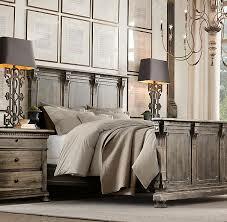 In my opinion, bedding, the headboard, and lamps are the most important pieces in the bedroom. Those are the main focal points. 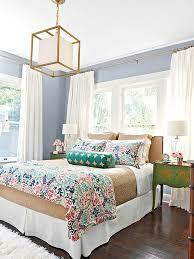 Purchase a fantastic headboard, some attractive nightstands, and a pair of bold lamps. 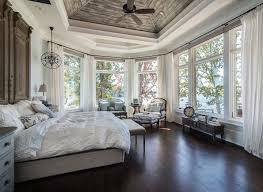 The rest of the stuff in the bedroom is minor, and you dont have to spend alot of money on. But those are the areas that I personally would (and do) splurge on. Couldn’t agree more. A headboard is extremely important. If you are going to spend money anywhere, let it be on the headboard and a great pair of lamps. Get Your Fast Cash Offer Today!